Want to win a pair of Sony XBA-1 headphones? Read on! Balanced Armature driver has been around for decades. While it is not a new audio technology, not many headphone manufacturers use this type of drivers. The advantages compared to the dynamic drivers are size, higher sound resolution and sensitivity. Its characteristics are flat frequency response and more precise sound. Typically, every in-ear headphones contain one driver – think of it as a mini-speaker for the ears – because of the limited size. 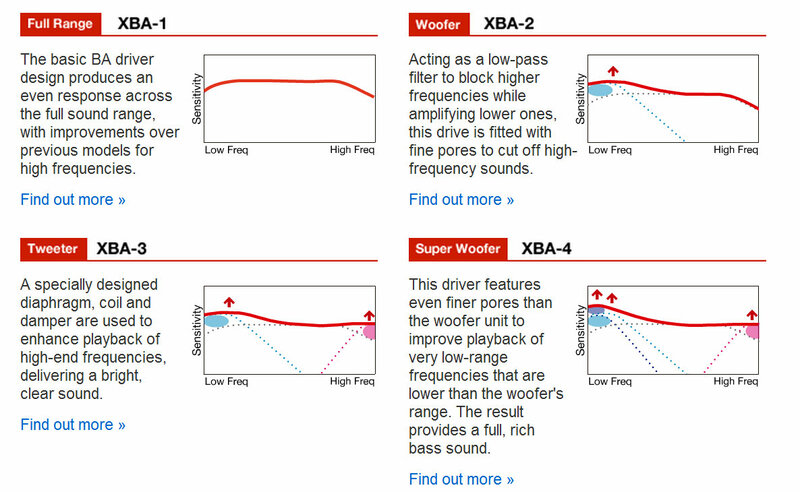 Generally, a larger dynamic driver translates to better frequency response. Using Balanced Armature as the driver, it is now possible to build more drivers into the headphones, with each BA tuned for specific purposes. Again, think of it as a home loudspeaker cabinet with multiple speakers – tweeter, mid-range, woofer, subwoofer. And that’s what Sony is offering in its new XBA range of headphones. XBA-1 contains one BA, XBA-2 with 2 BAs, XBA-3 with 3 BAs, and the XBA-4 has 4 BAs. Check out the below diagram to understand how they are tuned with different frequency responses. Several weeks back, I briefly tested all 4 models at the Funan Challenger store. At that time, I preferred the XBA-1. Generally I prefer my headphones to have a flat frequency response to retain the original mix of the music. If the bass is too strong, it would overpower the treble. Similarly, if the treble is too piercing, the woofer would not be felt. Coincidentally last week, Sony invited me for a private blogger session to experience the full range of XBA series headphones. This time, I readied myself with a list of reference audio that I am familiar with. They are not necessarily true audiophile “standard” tracks: just songs that I have been listening all these years, songs that represent the kind of music I enjoy. Vocal, instrumental, orchestral, pop, jazz, new age. Ready for testing: XBA-1 to 4. First, the XBA-1. No surprises, the sound is well balanced. The treble is not too overpowering while the bass has adequate punch. Just the way I liked it. Next I tried XBA-2. Delivering heavier and better bass but not overpowering, the XBA-2 would be better suited when listening at higher volumes and heavier tracks. The turning point occurred when I tested XBA-3. I started hearing more audio details from the same tracks. The sensual breaths of the vocalist sends goosebumps to my skin, the reverb that I never noticed, these give added dimensions to the music. The 4 Balanced Armatures found in the XBA-4. When I finally tested the XBA-4, I knew this is it. Offering similar clarity from the XBA-3, the XBA-4 adds even more feel with the subwoofer BA driver, which completes the aural experience. You really do not know what you were missing until you experienced the higher-end products. Having said that, it simply doesn’t mean a more expensive set of earphones naturally means better-sounding earphones. Each of us have different preferences for sound. Some are more sensitive to high frequencies, others prefer to enjoy bass. I am one who appreciates earphones that deliver natural sounds – bass that reverberates without distortion, mid-tones that are defined without sounding muddy, treble that is clear without discomfort. In the absence of any comparison, I find the XBA-1 already meets my listening needs. I’m not a fan of heavy bass or sharp tweeter, but what won me over to the XBA-4 is the amazing details that I could never have heard with any normal pair of earphones. Most earphones simply could not deliver the clarity without sounding unnatural, and using equalizers will not bring out what the earphones cannot deliver. The XBA-3 is already very good, but I thought I needed that additional sub-woofer BA to further counterbalance the strong tweeter. How could I allow myself to miss out all the sounds that I should have been listening? The sounds that are painstakingly engineered by the album producer. During the blogger session, I appreciate the importance of picking a proper set of earbuds. Earbuds are not just a matter of comfort. They make or break the listening experience. When the earbuds fit well, the intended sound will be transmitted to your ears without loss. I suppose that’s why I thought the XBA-1 sounded better when I first tested all the earphones at Funan Challenger. Fortunately, Sony included 7 earbud sizes to make sure you get the best fit and the preferred sound balance. I can’t stress the importance of test driving the earphones before buying. Head down to the Sony Style showroom or Funan Challenger to let your ears be the judge. 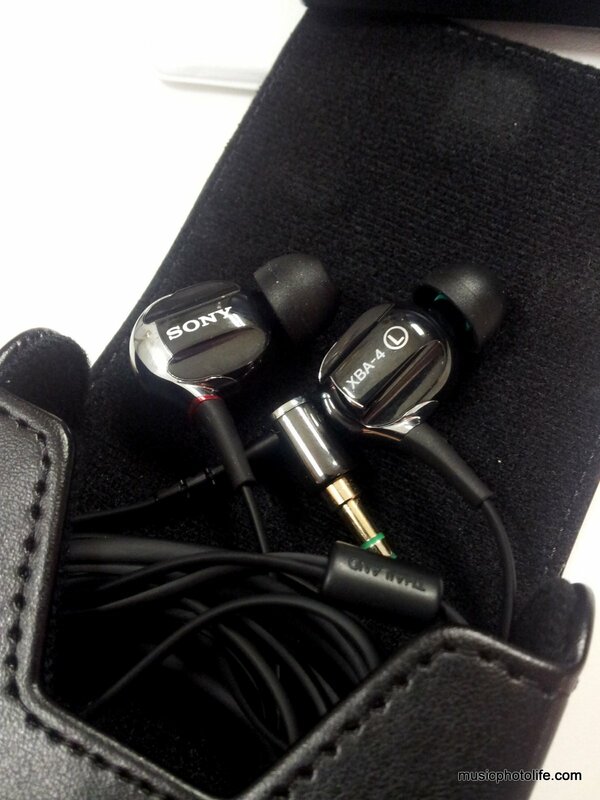 The XBA headphone series also come with variants with microphone and volume control to use with iPhones. The equivalent for non-iPhone smartphones (e.g. Android devices) are coming soon. 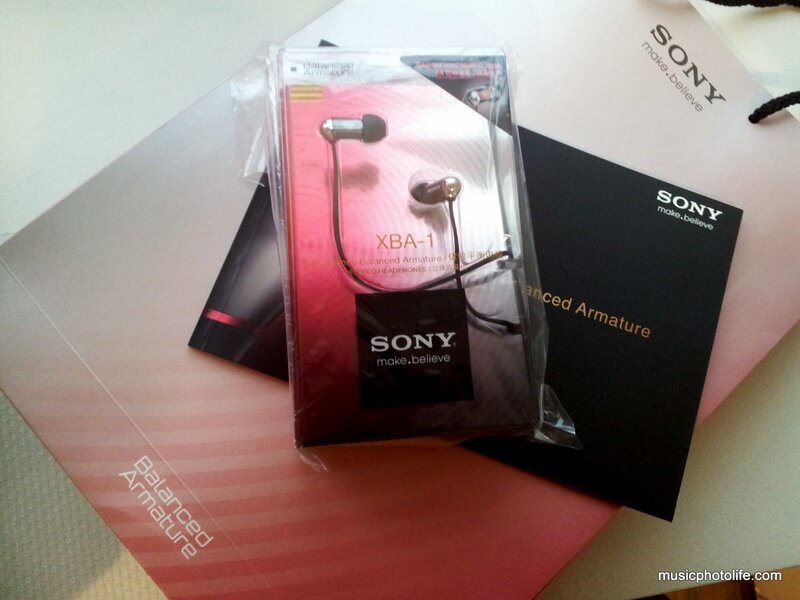 Here’s how you can win a pair of Sony XBA-1 in-ear headphones worth S$109! Describe your favourite music and what made you want to listen to it over and over again. Is it the singer, the lyrics, the music, the arrangement? Contest ends 30 Jun 2012 and is open only to Singapore residents. Winner will be picked by me.